This entry was posted in Uncategorized and tagged 2012 Presidential Election, America, China, Federal Deficit, Germany, Greece, Iceland, International Monetary Fund, Ireland, Mitt Romney, National Debt, Paul Ryan, Politics, Portugal, President Obama by webnerbob. Bookmark the permalink. A well-briefed explanation. And, I sort of get the debt point. But there’s a lot more to this choice than that. I voted already and I voted for Obama and Sherrod Brown. Now, Robert, here’s a challenge: Make an argument for Josh Mandel as articulate as you just did for Romney. If you can’t–and I don’t think you can– vote for Brown. So, let me get this correctly, by voting for the same people that got us into this economic mess, somehow they will fix it? I just don’t see it. Well at least, if you vote for Romney you might get your own planet with all your celestial wives when you die. Fortunately for me, Jeff, I already have a celestial wife here on Earth — as you know! 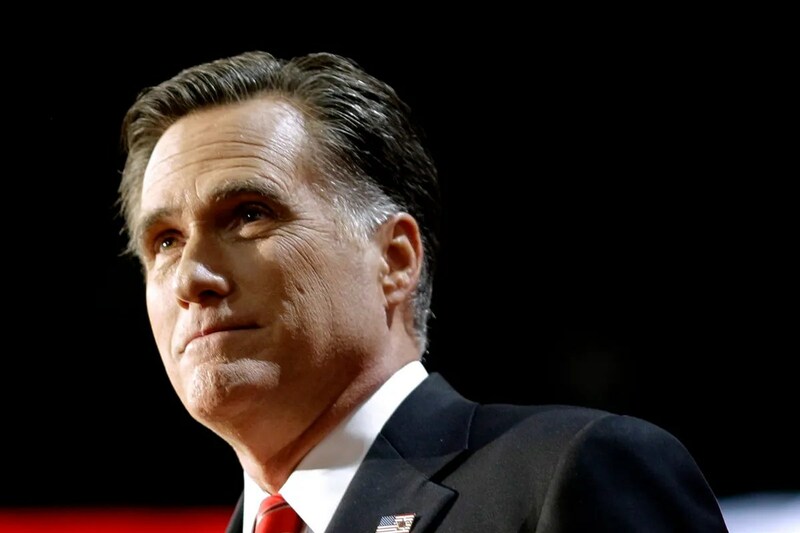 To your substantive point, I don’t see Mitt Romney as a reincarnation of George Bush. More basically, I also think “this economic mess,” in the sense of our current predicament, is not the situation that President Obama inherited, but rather a situation that he has made much worse and more precarious for our country by adding trillions of dollars of national debt to our ledger, to no apparent purpose — as well as other actions. President Obama has been in charge while that debt has been incurred, and he (and the last two Congresses) must take responsibility for that. I’m also concerned because I think President Obama shares your view, in the sense that he believes that he can continue to spend and borrow recklessly and blame it on a need to try to solve “this economic mess” that existed when he took office. With that attitude, we will never grapple with the debt and deficit problem that I think is so important. Again, that’s why I’m voting for Romney and Ryan. Bob, I respect your opinion and your choice. I also respectfully disagree as I do not see Romney proposing much more than rhetoric. His plan would “balance” the budget, not reduce it, sometime after his second term. I believe the phrase he used on another term is “kick the can down the road.” Better the devil you know. LP, thanks very much for the comment. I appreciate your viewpoint, and I agree with you in the sense that I think we need to be clear-eyed and clear-headed about what our political leaders can do. I’m not saying that Romney and Ryan can necessarily solve our crushing debt problems immediately or within a presidential term, but I do believe that they are far more likely to actually try to deal with them than President Obama and his team. In this case, I firmly believe, from the experience of the last four years, that the “devil we know” just isn’t going to focus on the issue. That’s why I think a change is necessary. I still have no idea how the presidential vote will turn out Tuesday, nationally, or in Ohio, but the prevailing sentiment seems to be that President Obama has picked up a bit over the past week, that this will be a very close election, and that the national outcome may hinge on the outcome in Ohio. I have the same “campaign ad fatigue” as everyone else here in Ohio and am hoping to avoid the onslaught of ads this weekend, vote Tuesday morning, and sit down for a long Tuesday evening with TV remote and laptop in hand. Because many folks nationally, believe Ohio may be the key to this presidential election, I thought it might be worthwhile to try to paint a summary picture of Ohio, politically (think Bob Ross, not Rembrandt ). This might be interesting to non-Ohioans – or perhaps (more likely) I’m just humoring myself. All of the following are just “ball-park” numbers. Ohio is roughly a square-shaped state, about 200 miles north to south, and about 200 miles east to west (sort of like taking France, which is also somewhat square shaped, quartering it, and one quarter would be roughly the size of Ohio). Ohio’s population is about 11 and a half million, and there will probably be around 6 million ballots cast in the presidential election Tuesday. So, about 60,000 votes is about 1 percent of the vote, and it will take around 3 million votes to win the election. Interstate 71 connects Ohio’s three largest cities. Cleveland in the northeast, Columbus is almost in the dead center of the state (also the state capitol), and Cincinnati in the southwest. Generally, voting moves from more democrat to more republican as you move from Cleveland in the northeast, through Columbus, and on to Cincinnati in the southwest. Although central Ohio (where webnerbob and I live) is somewhat in the middle for most political elections, the most central part, Franklin County, leans democrat, and in 2008 President Obama got about 60% of the vote in Franklin County. Some of the surrounding counties in central Ohio tend to vote more republican The President won Ohio by about 250,000 votes (about 4 1/2% of the total votes cast) over John McCain in 2008. The President won the national popular vote by about 7 1/2 % in 2008, so his margin in Ohio was a little more than half his national margin. Prior to 2008, George Bush won Ohio by fairly small margins in 2000 and 2004. Hamilton County in the southwest corner of the state (Cincinnati) is going to be watched closely by the parties and pundits Tuesday night because there was a big change in the voting there between 2004 and 2008. These are again “ball park” numbers – but Bush won over Kerry by about 225,000 votes to 200,000 votes in 2004 in Hamilton County, but Obama won over McCain by about the same margin in 2008. So, some people are suggesting that as Hamilton County goes, so may Ohio go. Finally, I live in a slightly affluent suburb of Columbus (I’m not talking gated community, but well above median income). During 2008, my “eyeballing” the yard signs in the area (say within a couple of miles around my home) seemed to indicate about equal numbers of Obama and McCain yard signs. This year, there are still many Obama yard signs, but there are clearly more Romney signs as compared to the number of 2008 McCain signs. I have no idea if that means much of anything as to what the outcome of the election will be – but it is one of the few objective/subjective factors I’m noticing. Well – perhaps someone will find this interesting. As always, I enjoy your posts, webnerbob, and all of the replies to them. It remains too close to call, I hope I’m not blogging from Canada next week. But wait! I won’t have to, none of it will matter- 12/21/12, saved by the Maya Calendar, the countdown continues… . Now it’s my turn – – – hahahaha! Alway nice to hear from you. Bob, as always, your position is clear headed and insightful. Now, if you can convince a few more folks in Ohio to see it your way, Romney has a chance. They tell me my vote in Minnesota might actually matter this year (although I’m not quite buying it). So I have to hope that others see the importance of electing the team that will pay attention to the issues that really matter: the deficit/debt, the economy and reducing the level of government regulation in our lives. His fee was 110 guineas, knowning that from the hotelkeeper was 30 guineas.